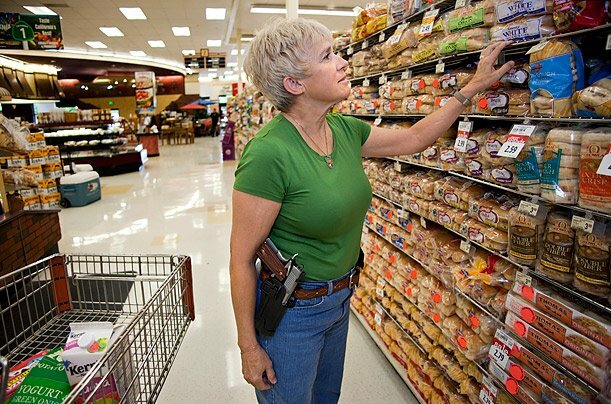 Just a housewife out shopping in Alaska No permit required in Alaska for either open carry (must be 18) or concealed carry (must be 21) CHECK THEIR CRIME RATE, LOWEST IN OUR NATION? Why would that be?? NOT one school shooting either! KIND OF PUTS A TEAR IN YOUR EYE – RIGHT?